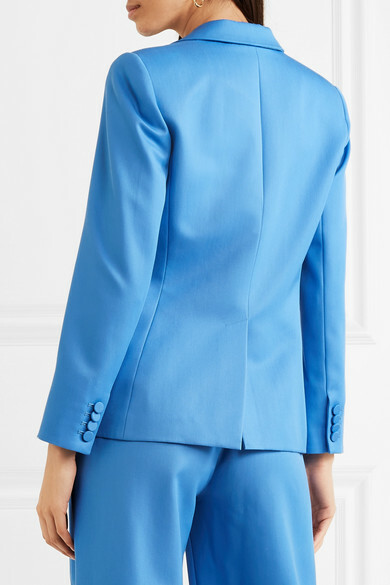 Adam Lippes' muse for Pre-Fall '18 is Madeleine Castaing - the iconic French interior designer was revered for her use of bold color, and blue was one her favorites. 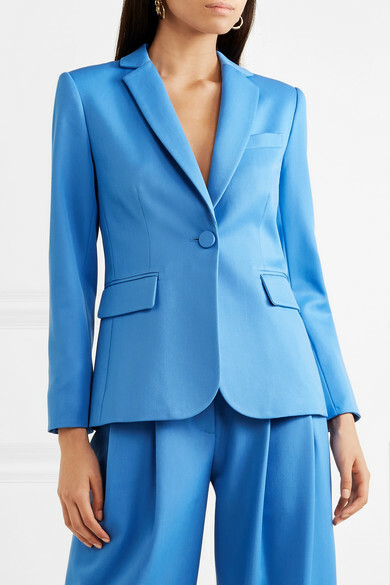 This blazer is sharply tailored from wool-blend gabardine and lined in soft silk-satin. 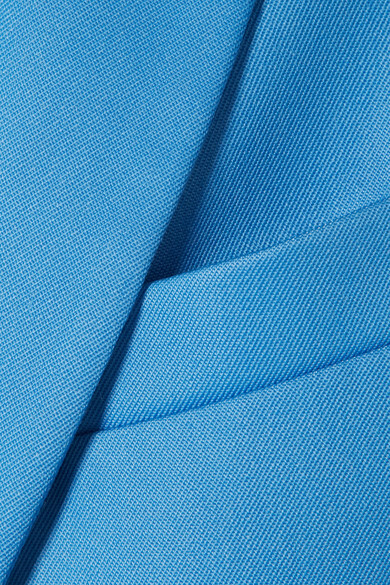 It cleverly features elastic insets beneath the sleeves so they'll stay neatly put when you want to wear them scrunched. 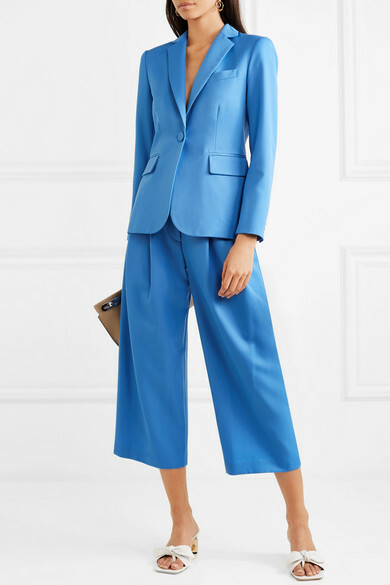 Shown here with: Adam Lippes Culottes, Loewe Shoulder bag, REJINA PYO Mules, Chloé Earrings.